Extreme climate events, including flooding and prolonged drought, may establish long-lasting (legacy) effects on soil abiotic and biotic properties, potentially influencing soil N-cycling, microbial communities, and plant productivity. Nitrogen (N) fertilizer often stimulates plant growth, but it remains unknown whether N addition can alleviate the impact of legacy drought or waterlogging events on crops. Our aim was to assess the interactive effects of legacy extreme climate events and N-addition on these processes. Using cotton as a model system, soils previously exposed to waterlogging and prolonged drought were used to examine potential legacy impacts of extreme climate on soil N process rates, abundance and structure of associated microbial communities, and cotton growth and productivity under different levels of N fertilizer application (0, 100, 200 and 300 kg N/ha). 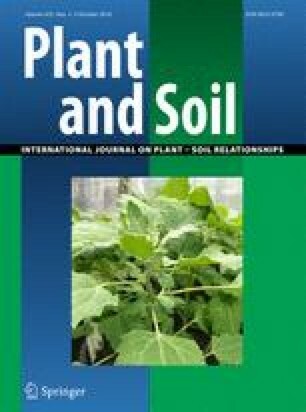 The deleterious legacy effects of prolonged drought on plant productivity were due to negative impacts on microbial abundance and community structure, and soil nutrient availability, thereby negatively influencing the rate of nitrification, and consequently plant available N. The legacy impacts of prolonged drought persisted throughout the experiment despite fertiliser applications of up to 300 kg of N/ha. The only observed legacy impacts of waterlogging were low NO3− levels in soils without N-addition and shifts in the abundance and structure of the N2O-reducing community. There were strong legacy impacts of prolonged drought, but minor legacy impacts of waterlogging, on soils and crop yields which could not be fully counteracted by the high rates of N fertilizer application. This study provides critical knowledge contributing to the development of adaptation and soil N management strategies to minimize the loss of farm productivity, within the context of increased frequencies and intensities of extreme weather events. The online version of this article ( https://doi.org/10.1007/s11104-018-3774-7) contains supplementary material, which is available to authorized users. The authors gratefully acknowledge Dr. Michael Braunack at CSIRO Agriculture for his help in soil collection from Narrabri, NSW. We also thank Renee Smith at WSU for her technical support for the glasshouse experiment. Thanks to Dr. Hangwei Hu at the University of Melbourne, for providing supportive materials for TRFLP analysis and to Dr. Jasmine Grinyer (WSU) for extensive editing. This work was financially supported by Hawkesbury Institute for the Environment and Western Sydney University as a part funding to Cotton Research and Development Corporation project (UWS1301). BKS work is also supported by Australian Research Council (DP170104634).